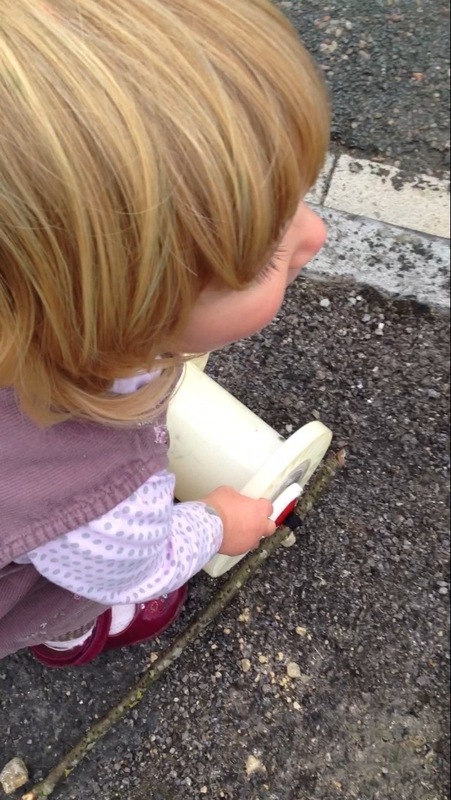 A Little Science and Engineering for Toddlers! These simple machines use stored elastic potential (strain) energy. There are two reasons I think it is important to make machines for children to play with. 1) They can see all the parts, what they do, start to understand why they are suitable and figure out why they are not working when they break down. 2) Being presented with objects used for new purposes taps into their own creativity and inventiveness. Every object has the potential to be used for something else! 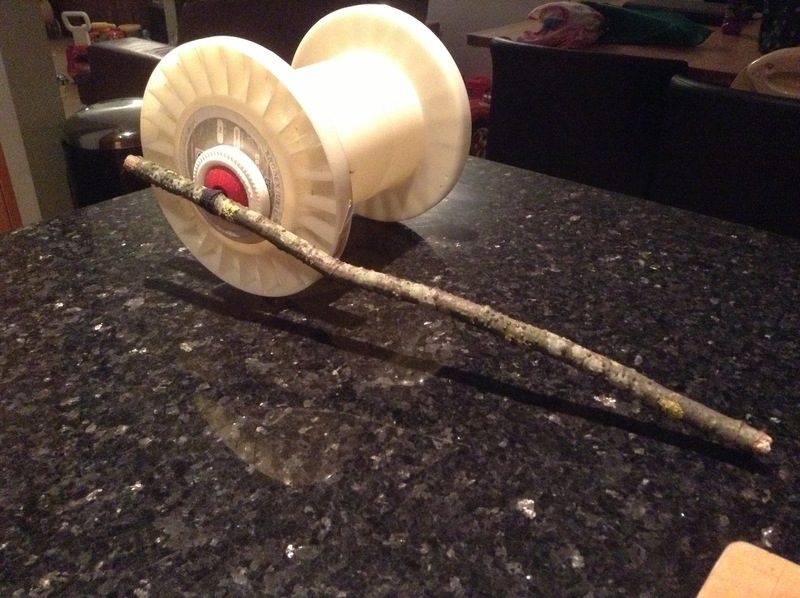 I’ve been making Cotton Reel Racers with match sticks and rubber bands for over ten years in my science lessons. Problem is they can be a bit too temperamental and delicate for toddler hands. Therefore I decided to ‘Go Large’ and create giant ones…three in all, for this weeks workshops. The local scrap store provides lots strange and wonderful objects that would otherwise go to landfill. these giant reels were just the job! Similar reels from cabling might be just as good. I threaded a thick elastic band through the centre of the reel. 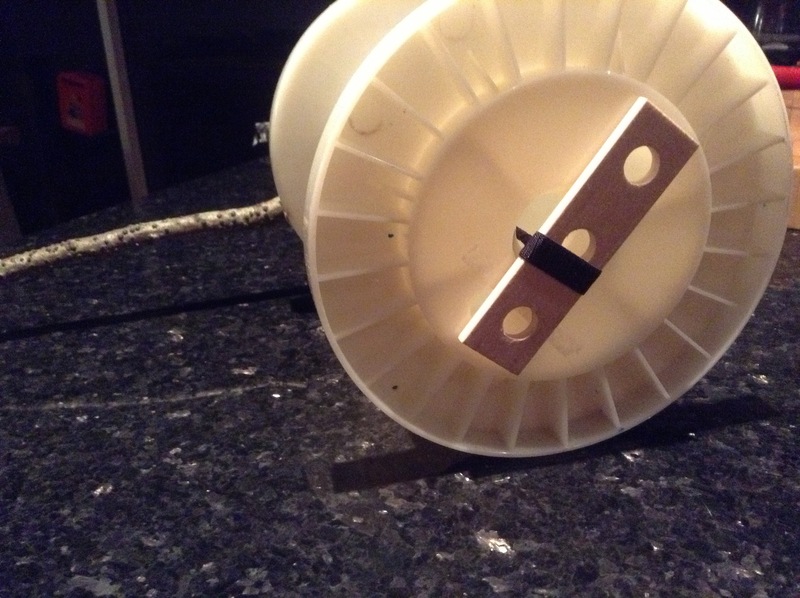 A stick is inserted into the elastic at each end of the reel. One short one that lies flat and may need to be taped down to stop it moving, and a long stick, inserted on top of a washer of some kind. 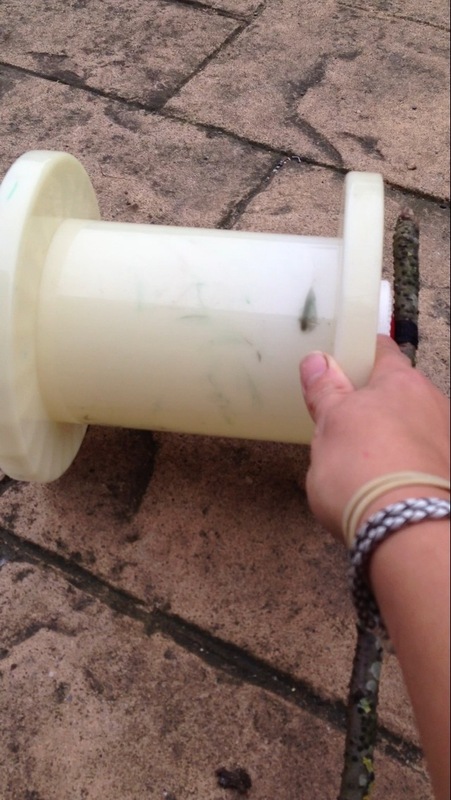 I used a toy car wheel for our washer. To make it go you need to wind the long stick around. Here is a video of it in action! 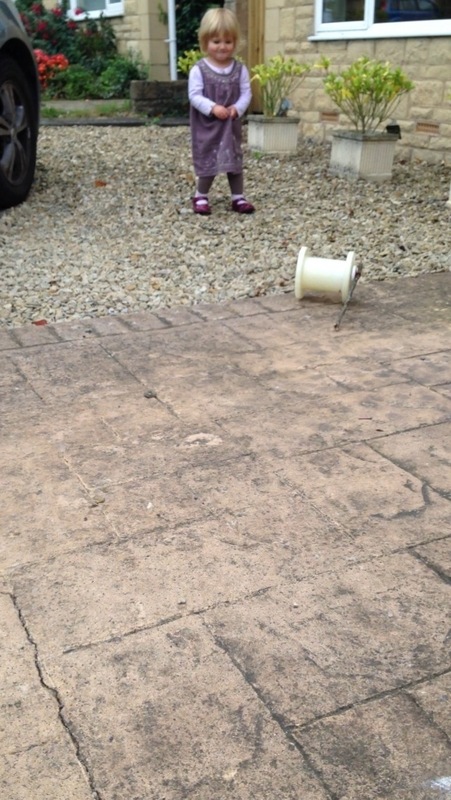 This entry was posted in Potential Energy, Pre-school Physics, Pre-school Science, Toddler STEM Activities and tagged baby activities, creative play ideas preschool science, messy play, preschool activities, toddler activities, toddler classes. Bookmark the permalink. That is fab, I want to make one!